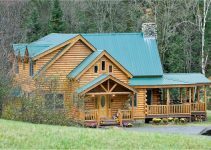 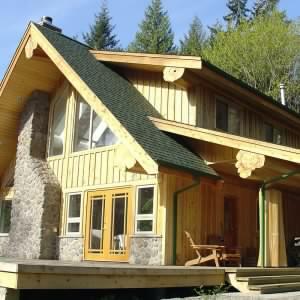 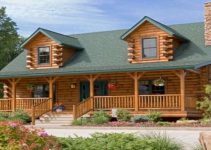 This hybrid log home design is a very economical two bedroom structure. 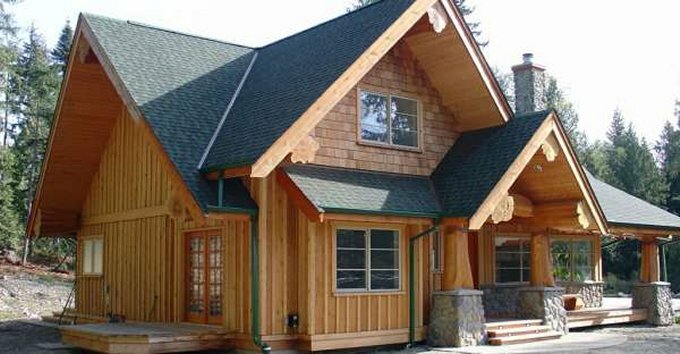 Hybrid post and beam homes offer the best of both worlds – simple conventional construction with log accents focused at entryways, great rooms, covered decks and other areas of the home, while the remainder of the home is conventional construction. 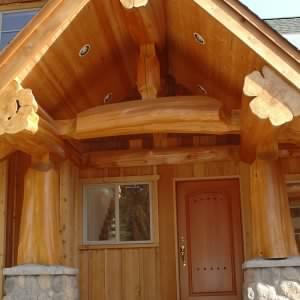 Some more conventional homes simply add log or timber accents to the exterior to add a more rustic feel.